Hailing from Palmas de Gran Canaria, Ricardo Espino is not only one of the most talented and hardest working producers/DJs in all of Spain, he is also behind the new Inexplikable Records. The Oh Yeah! 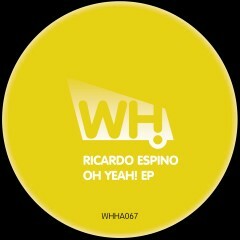 EP includes two tracks of low-slung tech house. Tried and tested already, these cuts are great tools for your DJ sets.